Many discussions have been held regarding British Petroleum’s corporate climate, the cost cutting, the record of safety, the notion that this corporation did or did not balance the drive for profit above all else, and it will be debated for a long time to come. The National Oil Spill Commission spent a lot of time and money trying to determine what BP, Transocean and Halliburton did or did not do, and many environmental groups, politicians, heads of corporations and the residents of the Gulf Coast have their opinions on what they have released so far and certainly, the legal machines are getting their gears oiled up and ready to do their slow grind towards far distant financial conclusions. Fine, but as ProPublica reported last week, an internal document from the oil spill commission that briefly made it online says a great deal in commonsense terms, breaking it all down. When one considers that the daily operations of the Macondo Well were running at $1.5 million dollars a day, a well which had yet to begin retrieving oil, BP was putting out a lot of money getting the thing up and running. And bringing the well to production was taking a long time. So we do the math and we take a look at what this internal document says about the decision making process on the Macondo Well. 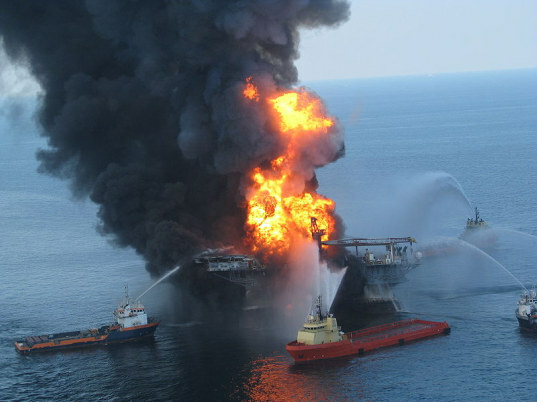 The document is titled “Various Decisions that May Have Increased Risk” and The Oil Spill Commission concluded that of the eleven key decisions, nine of them saved time. But that’s not all, the Oil Spill Commission reports in this document that BP, Transocean and Halliburton’s decisions to not wait for more centralizers, not reevaluate cement slurry designs, not wait for foam stability results, not run diagnostics on float equipment, not running a cement evaluation log, not installing additional plugs or barriers, not undertaking simultaneous operations that could confound kick detection, using combined spacers without flushing them from the system and bypassing pits and flow out meters during displacements not only saved time, they also were more risky than alternative options. Saving time, saves money and increases risk. It can also create the conditions which lead to eleven dead and the destruction of an ecosystem. Yet, last time I checked, nobody has even been brought up on charges and this little document, for whatever reason is not being reported on by a single mainstream national news outlet.